Following the completion of the Panamanian Government’s investigation into the leaking of almost 11.5m documents, the anti-corruption pressure group Transparency International has called for the findings to be published at the earliest opportunity. Last week the government stated that it had completed its investigation and as well as setting a date for reporting of the conclusions, will also report on fines handed down to firms who have violated anti-money laundering regulations. “We look forward to knowing when the report will be published. The new anti-money laundering rules are a step in the right direction, but much more needs to be done to show Panama is trying to change its reputation as a way-station for corruption, corrupt people or corrupt money,” said José Ugaz, chair of Transparency International. As well as announcing the fines handed down to firms, Transparency International has also called for more information on how anti-money laundering regulations are enforced, what actions regulators are taking, and the volume of breaches identified by regulators. 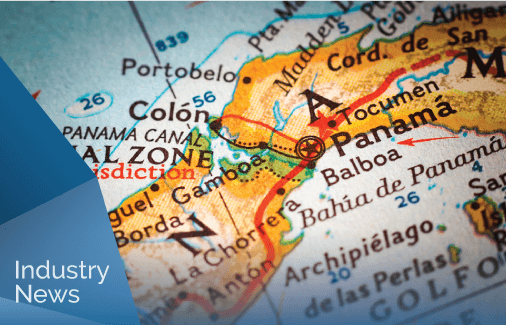 Transparency International, the global anti-corruption movement, calls on the government of Panama to set a date for the release of its official inquiry into financial reforms related to the publication of the Panama Papers. Last week the government said the independent committee on financial reform had completed the report. Clearly, the Panamanian authorities have work to do to not only close the gap on the progress that other countries have recently made in plugging the holes that money launderers have been utilising, but also in restoring public confidence with both the Panamanian public and the international community. Following the leaking of the ‘Panama Papers’, Panama has become a watchword for “secrecy” and “closeting of funds”. The Panamanian authorities have some way to go to change this perception.